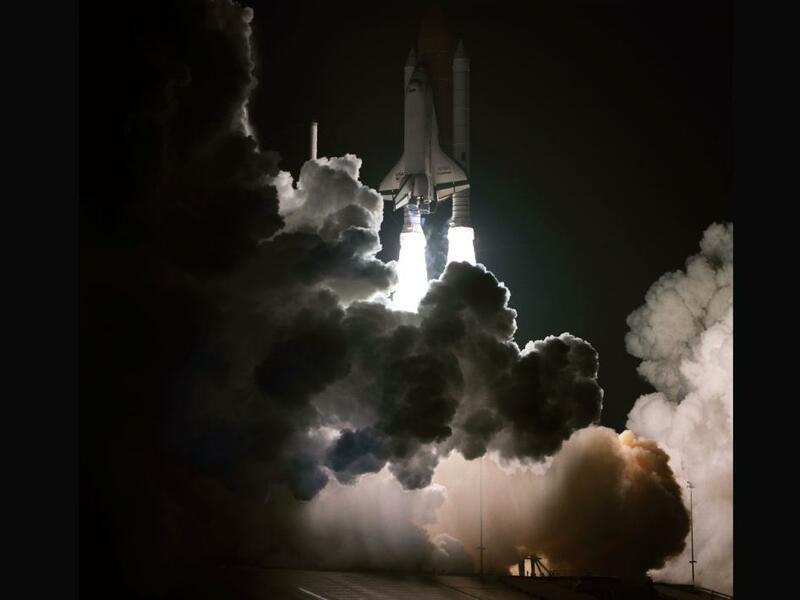 Space shuttle Challenger's third flight was the first to have its beginnings in darkness, as NASA's eighth space shuttle launch lit up the Florida sky at 2:32 a.m. EDT, Aug. 30, 1983. The STS-8 crew consisted of Commander Richard Truly, pilot Daniel Brandenstein, and mission specialists Dale Gardner, Guy Bluford and William Thornton. On Jan. 28, 1986, Challenger and its crew were lost when a booster engine failed, causing the shuttle to break apart just 73 seconds after launch. The U.S. Army Corps of Engineers is helping to protect an endangered species along the Arkansas River. Mary Cochran reports from Tulsa that a partnership with the U.S. Fish & Wildlife Service is providing successful help and assistance for a very unique bird whose habitat is threatened by dams, reservoirs, and other changes to the river system. Bradley Smith is a project manager in the Clinical Telehealth division of the National Center for Telehealth and Technology (T2) and a Captain in the Washington Army National Guard. He deployed to Baghdad as part of the Surge during Operation Iraqi Freedom 2006-2007. In 2007 and 2008 troops deployed to the Iraq “Surge” began returning home from deployments lasting as long as 15 months. Several staff members at the National Center for Telehealth and Technology (T2) were part of those extended tours and like many others wanted to spend their first days at home with their families, and most of all, out of uniform. Also like most others, they groaned at the announcement of another mandatory briefing or medical appointment, especially ones that either delayed a return home or were scheduled at times that interrupted the readjustment to home life. 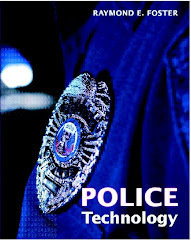 Recent advancements in mobile technology offer the potential to conduct some of these mandatory briefings and appointments on a smart phone. In January of this year, DOD Live noted the release of a new version of Skype that enabled two-way videochat on mobile devices. Apple’s newest iPhone features Facetime, an app capable of providing mobile videoconferencing between Apple’s mobile devices and, recently, their computers. T2’s David Luxton recently provided a great overview of our work in mobile applications, including research into Service Member’s impressions of mobile videoconferencing for mental health care. T2 staff experiences overseas, as well as all of these announcements, made us wonder: Could we successfully place video calls to Service Members across the globe to assist with scheduling these briefings and appointments. And if we could utilize the technology, how would Service Members perceive this utilization? We began to investigate these questions by connecting with a Service Member located in Iraqi Kurdistan from our organizational headquarters on Joint Base Lewis-McChord, located in Tacoma, Washington. We arranged a time in February to call using an Apple device running the newest version of Skype. We all were surprised that the call not only connected over such a great distance, but also remained stable for over 30 minutes. There was little of the usual interruption and lag familiar to troops overseas during the Surge. The Service Member gave the quality of the call an overall “fair” rating, but said that he definitely saw potential use in mental health care. After establishing the feasibility of this “long distance” call, we scheduled further calls with other Service Members overseas to informally replicate and expand the information gathered. One session was conducted with a colleague in American Samoa, again utilizing Skype with an Apple device. This colleague also felt the quality of the call was fair, but believed there was potential future use for mental health care. Additional similar calls were conducted with a Service Member and his spouse currently stationed in South Korea. One, a local mental health provider, said “the mobility of this service would offer the client an opportunity to access the services of [a] counselor without needing to be at a computer.” The Service Member shared our initial impression, saying that mobile videoconferencing could be beneficial in the days that immediately follow redeployment, when most Service Members would rather spend time with family than attend mental health appointments. What’s next? The Army appears poised to equip many of its troops with smart phones. T2’s evaluations of mobile videoconferencing support this effort by providing feedback from Service Members on how they might use and appreciate such a capability. Unfortunately, neither Skype nor Facetime are supported on DOD computers at this time. This has limited our investigation to feasibility testing only. Despite hurdles like these, we are continuing to forge ahead with mobile solutions for our Service Members. You can learn more about our efforts here: http://www.t2health.org/mobile-apps. WASHINGTON (NNS) -- Secretary of Agriculture Tom Vilsack, Secretary of Energy Steven Chu, and Secretary of the Navy Ray Mabus announced Aug. 30 the next step in the creation of a public-private partnership to develop drop-in advanced biofuels. The secretaries issued a request for information (RFI) laying out the administration's goals, assumptions, and tools and requesting from industry specific ideas for how to leverage private capital markets to establish a commercially viable drop-in biofuels industry. The critical information gathered through this process will help accelerate the development and use of these biofuels, reduce the Nation's demand for foreign oil, and strengthen rural America. The RFI can be viewed at https://www.fbo.gov/index?s=opportunity&mode=form&id=e63ff978dc9078d2223687cb7f099b0c&tab=core&_cview=0. On Aug. 16, the three departments announced an investment in the private sector of up to $510 million during the next three years to produce advanced drop-in aviation and marine biofuels to power military and commercial transportation. The initiative responds to a directive from President Obama issued in March as part of his Blueprint for a Secure Energy Future, the Administration's framework for reducing dependence on foreign oil. Drop-in biofuels serve as direct replacements or supplements to existing gasoline, diesel and jet fuels, without any changes to existing fuel distribution networks or engines. "Energy independence is critical to the military and critical to national security. That is why the Department of Navy is partnered in the effort to create a biofuels market," said Secretary Mabus. "Our reliance on foreign oil means that the most volatile regions in the world impact whether our aircraft fly and our ships sail. Home-grown biofuels will create a more stable market for fuel and greater security for the Navy and the nation." "These efforts will accelerate advanced technologies to produce infrastructure-compatible biofuels that will replace imported crude oil with secure, renewable fuels made here in the U.S.," said Energy Secretary Chu. "Building manufacturing capability for next-generation drop-in biofuels in the United States will support economic development in rural communities, create skilled jobs for American workers, and help the U.S. lead the way toward a secure energy future." The main objective of this government-industry partnership is the construction or retrofit of several domestic commercial or pre-commercial scale advanced drop-in biofuel refineries. These facilities will produce drop-in advanced biofuels meeting military specifications, will be located in geographically diverse locations for ready market access, and will have no significant impact on the supply of agricultural commodities for the production of food. "This is another step by the Obama Administration to give our Nation's development in rural communities, farmers, ranchers and producers of biofuels the financial tools they need to help bring greater energy independence to America," Secretary Vilsack said. "Working with our partners in the Department of Navy, the Department of Energy and the private sector, we are developing the technology and creating the demand necessary to create a new revenue stream in rural America, and produce new, sustainable skilled jobs that cannot be exported." In June, President Obama signed an Executive Order establishing the first White House Rural Council to build on the Administration's robust economic strategy for rural America and make sure that continued federal investments create maximum benefit for rural Americans. Administration officials have been working to coordinate programs across the government and encourage public-private partnerships to improve economic conditions and create jobs in rural communities. The RFI was released on behalf of the secretaries by the Office of the Secretary of Defense Acquisition Technology and Logistics in coordination with the Defense Production Act Title III executive agent Wright-Patterson Air Force Base. Representatives from USDA, DOE or Department of Navy will be present at the following events and available to answer industry questions: Asia Pacific Clean Energy Summit and Expo, Honolulu, HI September 13-15; SRI in the Rockies Conference, New Orleans, LA October 2-5; Naval Energy Forum, Washington, DC October 13-14; AIChE Annual Meeting, Minneapolis, MN October 16-21; Global Cleantech 100 Summit, Washington, DC October 17-18; Florida Energy Summit (Farm to Fuel), Orlando, FL October 26-28. WASHINGTON -- NASA has established an astrophysics technology fellowship named for the woman many credit as one of the key contributors in the creation of the Hubble Space Telescope. The Nancy Grace Roman Technology Fellowship in Astrophysics is designed to foster technologies that advance scientific investigations in the origin and physics of the universe and future exoplanet exploration. The fellowship will help early career researchers develop innovative technologies to enable scientific breakthroughs, while creating the skills necessary to lead astrophysics projects and future investigations. It also will foster and support early-career instrument builders on the path to long-term positions. "The Roman fellowship is an important opportunity to infuse new ideas and technologies into frontier research areas as diverse as dark energy, black holes and life elsewhere in the universe," said Jon Morse, astrophysics division director at NASA Headquarters in Washington. "This will be the most substantial fellowship at five years, compared to others that typically run two to three years." Beginning Nov. 18, early-career researchers may submit proposals for one-year concept studies for the development of new astrophysics technologies. Following a NASA review of the proposals, three to six applicants will be chosen for one-year fellowships to develop their concepts. Based on peer-review of the reports from the one-year studies, NASA will then select the fellows to implement the proposed technologies for up to four additional years. The first selection of fellows will be announced during February 2012. Finalists selected in early 2013 to execute their projects over four years will receive up to $1 million in funding. The fellowship's namesake is a distinguished American astronomer. Her celebrated career included multiple scientific and technical achievements at NASA and her important contributions to the design of the Hubble Space Telescope. "The exciting results from the Hubble, other satellites and probes would not have been possible without innovative solutions to many technical problems, Roman said. "Just as the lunar landings inspired many young people to consider careers in space and related fields, the solution of the challenging instrumentation problems presented in space science can inspire young people to push beyond the current state of the art." Born in Nashville, Tenn. in 1925, Roman studied science and earned her doctorate in astronomy from the University of Chicago in 1949. She became NASA's first chief of astronomy in 1959. As part of her new job, Roman travelled around the country, trying to understand what astronomers really wanted. Roman set up a committee of astronomers and NASA engineers that eventually led to a detailed design for the Hubble. The telescope was launched April 24, 1990, aboard space shuttle's Discovery's STS-31 mission. Hubble's subsequent discoveries revolutionized nearly all areas of astronomical research from planetary science to cosmology. Since retiring from NASA in 1979, Roman spends much of her time consulting, teaching and lecturing across the country in addition to being a passionate advocate for science. The new technologies enabled by the fellowship will complement the innovative science at the core of NASA's other three astrophysics fellowships: the Sagan Fellowship created in 2009, focusing on exoplanet exploration; the Hubble Fellowship created in 1990, supporting research into cosmic origins; and the Einstein Fellowship created in 2009, enabling investigations on the physics of the cosmos. NASA's Astrophysics Division mission seeks to understand the universe and our place in it. Missions investigate the very moment of creation of the universe; learn the full history of stars and galaxies; discover how planetary systems form and how environments hospitable for life develop; and search for the signature of life on other worlds. For information about applying to the fellowship, visit http://bit.ly/qWEPYC. For more information about NASA's astrophysics fellowships, visit http://science.nasa.gov/researchers/sara/student-programs/. For more information about NASA astrophysics programs, visit http://science.nasa.gov/astrophysics. 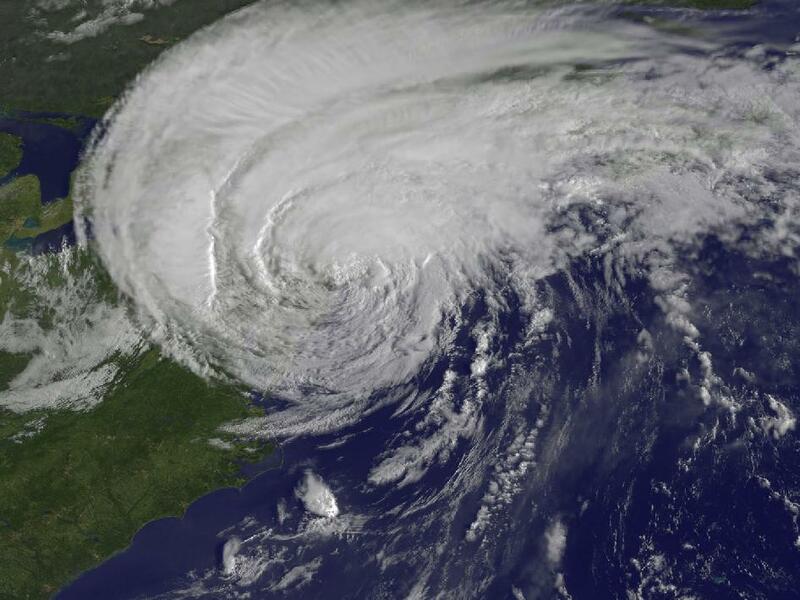 This GOES-13 satellite image is of Hurricane Irene just 28 minutes before the storm made landfall in New York City. The image shows Irene's huge cloud cover blanketing New England, New York and over Toronto, Canada. Shadows in Irene's clouds indicate the bands of thunderstorms that surrounded the storm. What’s Up for August 2011? What's Up for August? The solar system's windy worlds. Many of our planetary neighbors have significant atmospheres. On Venus the atmosphere's much thicker than our own and blankets the planet with dense clouds, which can reach tornado-like speeds. On Mars it's much thinner, though there are periodic global dust storms and even dust devils. The outer planets' atmospheres are worse than that. Jupiter and Saturn's atmospheres are swirling with toxic gases like ammonia, and the temperatures and wind speeds are extreme. The Cassini spacecraft recently studied a huge storm on Saturn, which has been raging since last December. While it started as an isolated storm, the winds in Saturn's atmosphere have affected the tops of Saturn's clouds. The storm now completely encircles the planet, and can even be spotted in amateur telescopes. In this false-color image the blue clouds are the highest and are thin. Yellow and white clouds are thick, high-altitude clouds. Green are intermediate. Red and brown are lower-altitude clouds but are not obscured by the other clouds. The deepest blue shows a thin haze with no clouds below. The storm clouds are most likely made of water ice covered by crystallized ammonia, carbon and other contaminants. But which planet is the windiest? Neptune. The winds on Neptune blow at more than 1200 miles per hour. That's 2000 kilometers per hour. Mission Control voice: Ignition. Lift off. Jones: With the launch of the Juno spacecraft this month, we celebrate our return to Jupiter. Juno will improve our understanding of our solar system's beginnings by revealing the origin and evolution of Jupiter. The spinning spacecraft will use microwave antennas to observe how this windy world is moving far below its visible cloud tops. It will also probe Jupiter's interior to determine how deep, wind-driven cloud features, like the colorful bands and the Great Red Spot, reach into the planet. Throughout August, Saturn is visible at sunset, and you can see Jupiter after midnight. Both Neptune and asteroid Vesta are at opposition this month, but you'll need a telescope to see them. You can read all about asteroids at solarsystem.nasa.gov/yss, for Year of the Solar System. You can learn all about the Juno mission at http://www.nasa.gov/juno. PETERSON AIR FORCE BASE, Colo., Aug. 29, 2011 – An Air Force officer recently became the first U.S. Air Force space and missile operator inducted into the Space Camp Hall of Fame. Lt. Col. William Burke Hare III, the chief of operations for the Flight Test Execution Directorate at the Missile Defense Agency at Redstone Arsenal, Ala., was selected as one of three inductees out of 60 nominees for the 2011 Space Camp Hall of Fame. Hare said the honor came as a surprise. "I am truly humbled that my career accomplishments met the standards of the [Space Camp] Hall of Fame," he said. "I really was shocked I was selected." According to the Space Camp website, the Space Camp Hall of Fame was established to honor outstanding members of the Space Camp family, including graduates and former employees who have distinguished themselves in their respective careers or friends who have made considerable contributions of personal time, effort or resources to further the goals of the Space Camp programs. Hare, originally from Atlanta, graduated from Auburn University in 1992 where he received his commission from ROTC Detachment 005. Having studied political science there, he earned his master's degree in space studies from the University of North Dakota. However, Hare said his interest in the space program started much earlier. "Since I was very young, 5 or 6 years old, I thought the idea of going into space as an astronaut would be the greatest adventure anyone could have," he said. "I wanted to try it out firsthand and see if space was a line of work for me. My Space Camp and Aviation Challenge experiences set the stage in guiding me toward Air Force space and missiles as the career for me." Hare attended Space Camp in Huntsville, Ala., in 1984 and 1986 as a camper, and also worked there from 1992 to 1993 in the Aviation Challenge program as a Space Camp counselor. As much as Hare was shocked at his selection, it came as no surprise to his previous leaders. "Lieutenant Colonel Hare has always been an airman that gave 100 percent to the military space mission and 100 percent to the civilian side in educating all comers on space as a whole," said Air Force Col. William Burton, Hare's former supervisor at Air Force Space Command and the chief of staff of 24th Air Force. "Burke spearheaded the relationship that AFSPC developed with Space Camp and many civilians and military members alike prospered," Burton said. "This honor is well deserved and should solidify future military-civilian education efforts in the future." Hare gave words of encouragement to young space enthusiasts who are looking to work in space as a career. "There is a way," he said. "If you really want to be in the space business, you can get there. You may have to take alternative routes along the way, but if you stay true to your main goals, you will get there. Have faith and never, ever give up." The Hall of Fame was instituted seven years ago. Its inductees include Dr. Werner von Braun, who is considered the father of manned space flight, as well as Dr. Georg von Tiesenhausen and Oscar Holderer, two of the original members of the von Braun rocket team. WASHINGTON, Aug. 29, 2011 – As the Defense Department seeks innovation made possible by smartphones and other mobile computing platforms, it’s also working to ensure DOD users of those devices employ them securely, a defense official said. “Because of the pervasiveness of the [mobile computing] market, everyone has one, everyone wants one, but we often don’t look at how the device works -- we take it home and start loading pictures on it,” Robert E. Young, division chief of outreach and communications for the Defense-wide Information Assurance Program, said during a recent interview with the Pentagon Channel and American Forces Press Service. Issues that concern the department, Young said, include the huge memory capacities of some of the new smart devices and users’ general lack of knowledge about how smartphones and tablets work and how they could be compromised. Young said the department is evaluating how people are really using the devices -- whether they’re using smartphones to check email or tablets to read memorandums or policies. “What are you doing with the device? Is the camera disabled, are you taking pictures of people? I take a picture of you, I upload it and now you’re tagged and all of a sudden everyone knows where you are. So it leads to a digital footprint that connects to the device -- anywhere, anytime, any device,” he said. Part of the answer is to educate, and raise mobile technology awareness for military members, DOD’s civilian workforce and their families, Young said. As part of this effort, he added, the department is taking a cohesive approach to adopting mobile technology. “We have a Commercial Mobile Device Working Group and we take best practices from [the Defense Advanced Research Projects Agency], the [Intelligence Advanced Research Projects Activity] and from our intelligence community partners” and share information, Young said. The department also is working with DARPA and the Army on pilot programs for using mobile computing devices innovatively while also protecting information. DARPA and the Army are also looking at new applications for such devices, Young said. “The issue is that we have to make sure the apps are safe and secure. We can’t just throw them on and then try to figure out what they do after the fact,” he added. It’s important for a mobile device manager to have insight into all the devices on the enterprise, Young said. Such a manager must be “device agnostic,” he added, to be able to keep track of any sort of device made by any commercial producer that’s touching DOD’s information network. “That’s the challenge,” he said. Service members and DOD personnel can get security information or have their devices checked by device manufacturers, Young said. On military installations, he added, information assurance program officers or chief information officers can help. Information also is available from the federal government, including the National Institute for Standards and Technology, with National Initiative for Cybersecurity Education information available online at http://csrc.nist.gov/nice/. WASHINGTON (NNS) -- As Hurricane Irene approaches the East Coast, Commander, Navy Installations Command (CNIC) reminds Sailors, retirees and their families Aug. 26 about the "Navy Life" iPhone application that provides emergency information regarding hurricane preparedness. The application, which was developed as part of CNIC's iShore initiative, features interactive program information that can be accessed directly from the initial download from the Apple store to a customer's iPhone or iPod Touch. "A key feature of the app (application) is that in emergency situations we can push important information directly to Sailors and their families," said Ruel Odom, head, CNIC Fleet and Family Readiness (FFR) Marketing and Multimedia Development Branch. "We hope they find the 'Navy Life' app to be a useful resource for information on the many Fleet and Family Readiness programs and services that are available." Additional information is provided on the mobile devices when an internet connection is used. Active links will direct users to emergency response information and news feeds for help during emergencies. "When an emergency strikes, knowing what to do can save time, property and lives. You can learn more about how to prepare and cope with disasters by using the 'Navy Life' mobile application," said Mike Bruner, CNIC Navy Family Emergency Response Program manager. "The 'Navy Life' mobile application has important information on preparing for a disaster, what to do after a disaster occurs, basic emergency kits and important resources available (i.e. Red Cross, Federal Emergency Management Agency, Navy Family Accountability and Assessment System and more) for recovery." The "Navy Life" mobile application, through the strength of social networking, connects members to Facebook pages for the master chief petty officer of the Navy (MCPON), Navy FFR and more. In addition to information about CNIC's FFR programs, the mobile application contains information about other important quality of life programs, such as the Navy Exchange, Defense Commissary Agency and other resources for family members. The app can be downloaded at http://itunes.apple.com/us/app/navy-life/id368752284?mt=8. While the remnants of Hurricane Irene drench Quebec and Newfoundland, Canada today, NASA satellites are keeping tabs on two other tropical cyclones in the Atlantic: Tropical Storm Jose and newly formed Tropical Depression 12. NOAA's GOES-13 satellite, known as the Geostationary Operational Environmental Satellite has been providing infrared and visible images all tropical cyclones over the Atlantic Ocean this season and has now seen the development of the twelfth storm while two others still remain. The NASA GOES Project out of NASA's Goddard Space Flight Center in Greenbelt, Md. created an image from GOES-13 on Monday, August 29 at 7:45 a.m. EDT that shows Irene over eastern Canada, Jose in the central Atlantic and Tropical Depression 12 in the far eastern Atlantic. On Monday, August 29 at 5 a.m. EDT, the twelfth tropical depression of the Atlantic Ocean season formed in the eastern Atlantic. Tropical Depression 12 (TD12) formed about 395 miles (635 km) south of the Cape Verde Islands, near 9.4 North and 26.3 West. It had maximum sustained winds near 35 mph (55 kmh) and was moving to the west near 15 mph (24 kmh). TD12's minimum central pressure was 1009 millibars. The National Hurricane Center expects strengthening to occur and that would change TD12 into Tropical Storm Katia. Because TD12 is in an environment with low wind shear and warm sea surface temperatures the National Hurricane Center is forecasting the depression to become a tropical storm and even a hurricane later this week. Farther west, Tropical Storm Jose, that formed on Sunday, August 28, isn't faring so well. Jose is now racing over the North Atlantic, where sea surface temperatures are below the 80F (26.6C) threshold needed to help a tropical cyclone to maintain its strength. So, the National Hurricane Center expects Jose to lose his tropical characteristics later today, August 29. At 5 a.m. EDT today, Jose's maximum sustained winds were near 40 mph (65 kmh). It is located about 340 miles (545 km) north of Bermuda, and about 515 miles (830 km) of Halifax, Nova Scotia, Canada. It was centered near 37.2 North and 64.7 West. Jose is moving north at 23 mph (37 kmh) and is expected to turn to the north-northeast today. Jose had a minimum central pressure of 1008 millibars. Text credit: Rob Gutro, NASA's Goddard Space Flight Center, Greenbelt, Md. On Sat., Aug. 27, 2011, International Space Station Astronaut Ron Garan pointed an HD camera out a window of the Cupola to film one of the sixteen sunrises astronauts see each day. 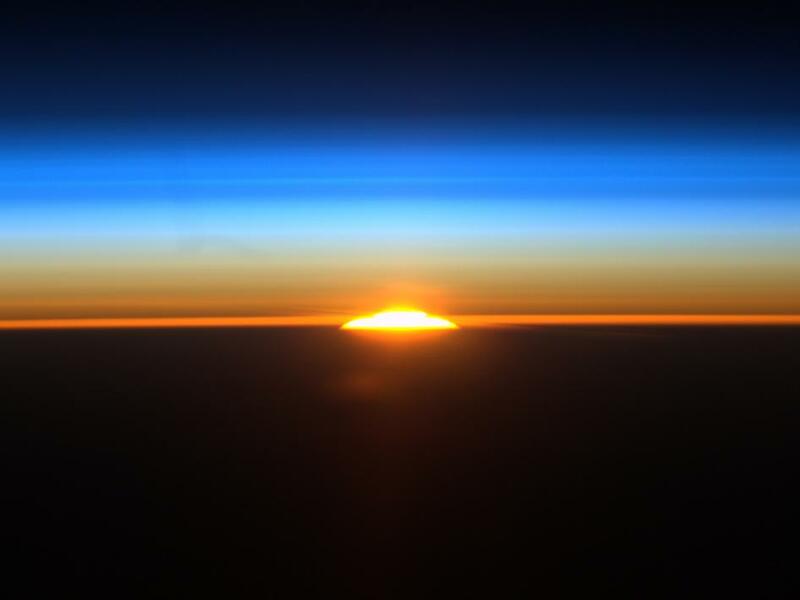 This sunrise image shows the rising sun as the International Space Station flew along a path between Rio de Janeiro, Brazil and Buenos Aires, Argentina. HOUSTON -- NASA Television will broadcast an International Space Station status update briefing at 9 a.m. CDT on Monday, Aug. 29. Michael Suffredini, space station program manager, will provide the latest information on the status of the station following the Aug. 24 failure of the Russian Progress 44 resupply vehicle to reach orbit. The Russian Federal Space Agency has established a commission to assess the root cause of the failure, to develop a plan of corrective action, and determine any implications for the launch of crews to the station on similar Soyuz rockets. Suffredini also will discuss the status of the commission’s investigation and preliminary plans by NASA and its international partners to resume crew and cargo launches. NASA TV and the agency's website will broadcast the briefing live from the Johnson Space Center. Reporters may ask questions from participating NASA locations, and should contact their preferred NASA center to confirm participation. The phone bridge at Johnson will be available for reporters to participate by calling the newsroom at 281-483-5111 by 8:45 a.m.
For the latest information about the International Space Station, visit http://www.nasa.gov/station. ABERDEEN PROVING GROUND, Md. — Soldiers can now provide feedback on their equipment directly to military scientists, U.S. Army officials announced Aug. 25. The Army has launched the Soldier Technology Suggestion Portal, which enables Warfighters to send suggestions through an Army Knowledge Online Web site. Sgt. Maj. William Tager, noncommissioned officer-in-charge at the RDECOM Field Assistance in Science and Technology-Center at Bagram Airfield, led the push for a portal after speaking with sergeants major in several commands in theater. Bill Langston, RDECOM knowledge management and collaboration division chief, led the information technology effort to build STSP. He stressed that making it easy to use was a priority for Soldiers. To access the portal, Soldiers may go to the RDECOM web site at www.army.mil/rdecom. They would click the link, “Soldier Technology Suggestion Portal,” in the left-hand column to obtain an AKO address. Technology questions, ideas or suggestions must be submitted through a Secret Internet Protocol Router Network terminal. The scientific review begins shortly after the Soldier’s submission, Langston said. Soldiers will be able to submit classified concerns. “Once they hit submit, it will be sent directly to an engineer in Afghanistan who will make the determination whether it’s something they can resolve there or whether they need to use other elements in RDECOM to fix the issue,” Langston said. The portal will remove obstacles between the battlefield and laboratory, Marin said. Fast communication channels are key to provide quick solutions in today’s conflicts. “This will help RDECOM to get those solutions a lot faster than waiting for a piece of paperwork or some sort of a process to go through channels,” Marin said. “We just fielded a Mine Resistant Ambush Protected All-Terrain Vehicle for Afghanistan. As soon the vehicle went into theater, there were a lot of issues. The Army Suggestion Program is still available for Soldiers and civilians to submit ideas that increase efficiency at https://asp.hqda.pentagon.mil/public. Science technicians position microphones around the Orion MPCV, or Multi-Purpose Crew Vehicle, and LAS, or Launch Abort System, test craft in preparation for the second round of testing in the acoustic chamber at Lockheed Martin’s facilities near Denver in late August 2011. The vehicle was bombarded by acoustic levels of 150 decibels to simulate conditions during launch and abort, if necessary. PATUXENT RIVER, Md. (NNS) -- The Navy's alternative energy program expanded Aug. 24 when a T-45 training aircraft completed a successful biofuel flight at Naval Air Station (NAS) Patuxent River, Md. The "Salty Dogs" of Air Test and Evaluation Squadron (VX) 23 flew the high-performance jet trainer on a biofuel mixture of petroleum-based JP-5 jet fuel and plant-based camelina. The high oil content of the camelina seed makes it a valuable source of renewable and sustainable energy. "This successful test flight brings us a step closer to meeting the Navy's energy security goals," said Vice Adm. David Architzel, commander, Naval Air Systems Command. "My congratulations to the Navy fuels team here at NAVAIR for playing an instrumental role in proving the viability of biofuels to power naval aircraft." The T-45 "Goshawk" is a tandem-seat aircraft used by the Navy and Marine Corps to train pilots on carrier and tactical mission operations. This is the fifth aircraft successfully tested using biofuel at NAS Patuxent River and showcases the Navy's commitment to achieve energy independence by reducing the need for foreign oil. Previous aircraft tested include the F/18 E/F, MH-60S, F/A-18 D, and most recently, the MV-22. Navy Secretary Ray Mabus' goal is to cut the Navy's oil usage in half by 2025. "This test of the T-45 with a 50/50 blend of biofuel represents another significant milestone in the long list of detailed flight test and demonstrations of the F-18 Super Hornet, the MH-60S, and the V-22," said Rear Adm. Phil Cullom, Director of the Chief of Naval Operations Energy and Environmental Readiness Division. "Our commitment to the aggressive test schedule for drop-in replacement fuels for JP-5 and F-76 keep us on pace for the 2012 demonstration and 2016 deployment of the Great Green Fleet." Three additional Navy aircraft are scheduled for biofuel test flights before the end of the year. This initiative is one of many throughout the Navy and Marine Corps which will enable the Department of the Navy to achieve Secretary Ray Mabus' energy goals to improve our energy security and efficiency afloat and ashore, increase our energy independence, and help lead the nation toward a clean energy economy. CAPE CANAVERAL, Fla. -- NASA's Gravity Recovery And Interior Laboratory (GRAIL), mission to study the moon is in final launch preparations for a scheduled Sept. 8 launch onboard a Delta II rocket from Cape Canaveral Air Force Station in Florida. GRAIL's twin spacecraft are tasked for a nine-month mission to explore Earth's nearest neighbor in unprecedented detail. They will determine the structure of the lunar interior from crust to core and advance our understanding of the thermal evolution of the moon. "Yesterday's final encapsulation of the spacecraft is an important mission milestone," said David Lehman, GRAIL project manager for NASA's Jet Propulsion Laboratory in Pasadena, Calif. "Our two spacecraft are now sitting comfortably inside the payload fairing which will protect them during ascent. Next time the GRAIL twins will see the light of day they will be about 95 miles up and accelerating." The spacecraft twins, GRAIL A and B, will fly a circuitous route to lunar orbit taking 3.5 months and covering approximately 2.6 million miles (4.2 million kilometers) for GRAIL-A, and 2.7 million miles (4.3 million kilometers) for GRAIL-B. In lunar orbit, the spacecraft will transmit radio signals precisely defining the distance between them. Regional gravitational differences on the moon are expected to expand and contract that distance. GRAIL scientists will use these accurate measurements to define the moon's gravity field. The data will allow mission scientists to understand what goes on below the surface of our natural satellite. "GRAIL will unlock lunar mysteries and help us understand how the moon, Earth and other rocky planets evolved as well," said Maria Zuber, GRAIL principal investigator from the Massachusetts Institute of Technology in Cambridge. GRAIL's launch period opens Sept. 8 and extends through Oct. 19. On each day, there are two separate launch opportunities separated by approximately 39 minutes. On Sept. 8, the first launch opportunity is 8:37 a.m. EDT; the second is 9:16 a.m.
JPL manages the GRAIL mission. 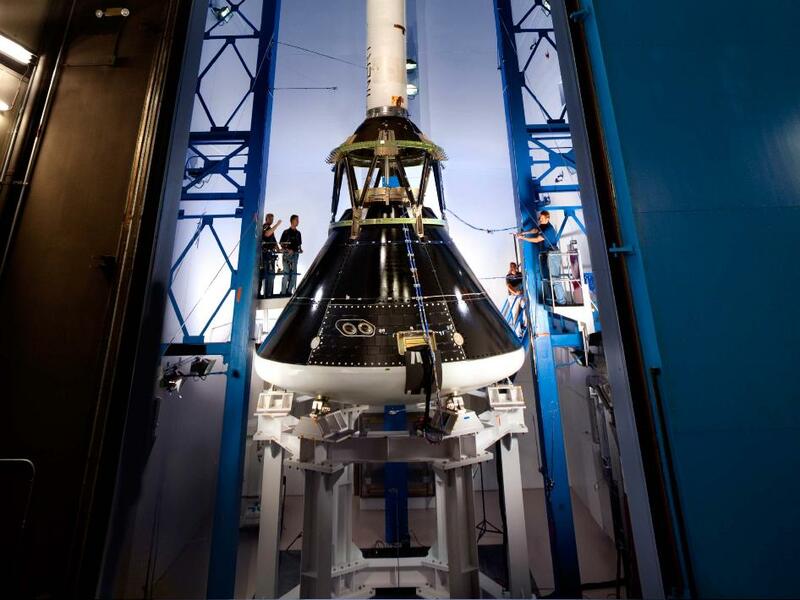 It is part of the Discovery Program managed at NASA's Marshall Space Flight Center in Huntsville, Ala. Lockheed Martin Space Systems in Denver, built the spacecraft. Launch management for the mission is the responsibility of NASA's Launch Services Program at the Kennedy Space Center in Florida. For extensive pre-launch and launch day coverage of the GRAIL spacecraft, visit http://www.nasa.gov. A prelaunch webcast for the mission will be streamed at noon on Wednesday, Sept. 7. Live countdown coverage through NASA's Launch Blog begins at 6:30 a.m. on Sept. 8. Coverage features live updates as countdown milestones occur and streaming video clips highlighting launch preparations and liftoff. To view the webcast and the blog or to learn more about the GRAIL mission, visit http://www.nasa.gov/grail and http://grail.nasa.gov. To view live interviews with lunar scientists from noon to 5 p.m. on Sept. 8 and 9, visit http://www.livestream.com/grail. Calling Anonymous- We Need Your Help!